""ARE WE NOT MEN?"" Edward Prendick survives a shipwreck and winds up on a remote Pacific island, where a mad scientist is vivisecting animals to create hybrid beast people. Will Prendick survive and recover from the horrors he has seen? Will anyone believe him? In this classic early science-fiction novel, H.G. Wells exposes the anxieties of the Victorian Age: fearing the implications of evolutionary theory, disturbed by the godlike power of science over nature, & doubtful about the inevitability of human progress. Might humans be capable of degeneration? 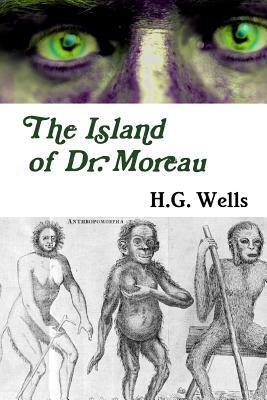 The Island of Dr. Moreau raises vital questions about bioethics, animal rights, & the nature of humanity. Published by Spruce Alley Press.